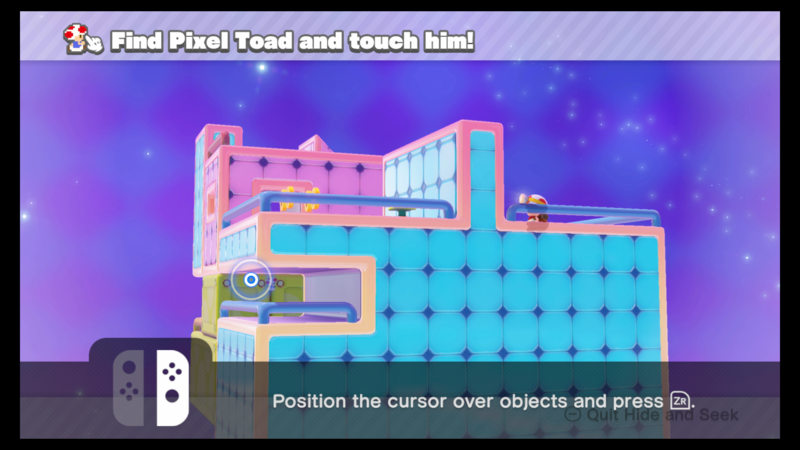 Captain Toad: Treasure Tracker is all about collectables. You collect gems, stars, and coins throughout your adventure to allow you to progress through the game. 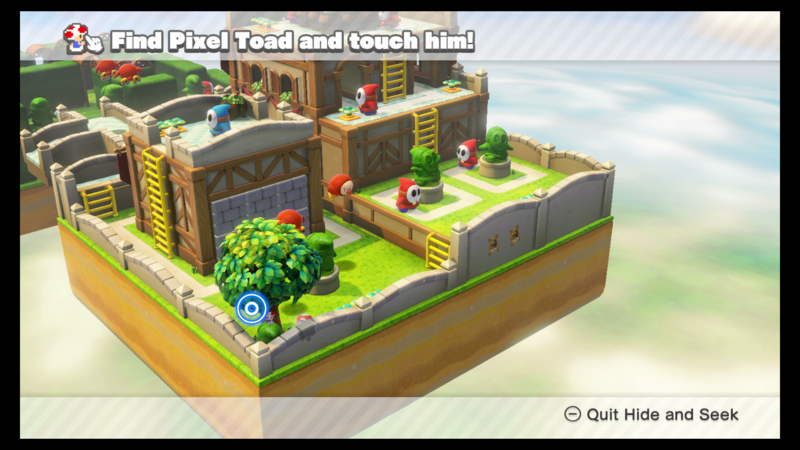 One of these collectables are Pixel Toads, small little toads that hide somewhere on each level for you to find. 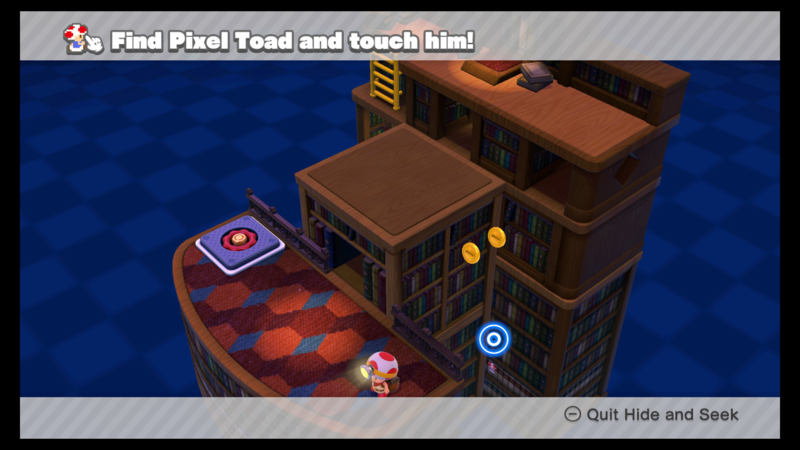 By finding them all in a single episode, you unlock a special Pixel Toad badge at the front of your book. 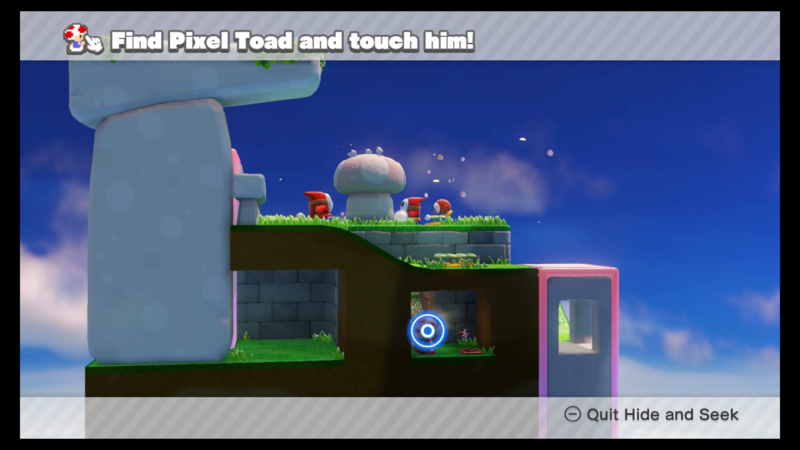 To get the Pixel Toad in each level, all you need to do is find him and touch him on the Nintendo Switch system. He'll then be collected and you can move onto the next one. To help you out in your search, we've found all of the toads in Episode One of the game and highlighted them in the screengrabs below with a blue marker. 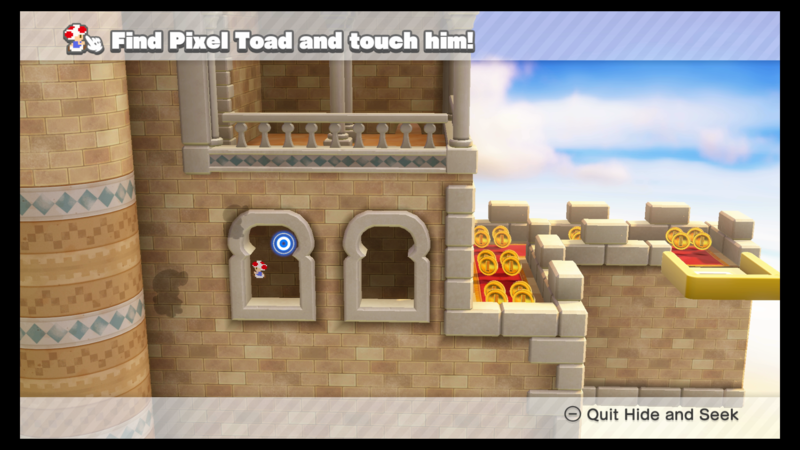 The first Pixel Toad can be found on the opposite side of the map from where you spawn. 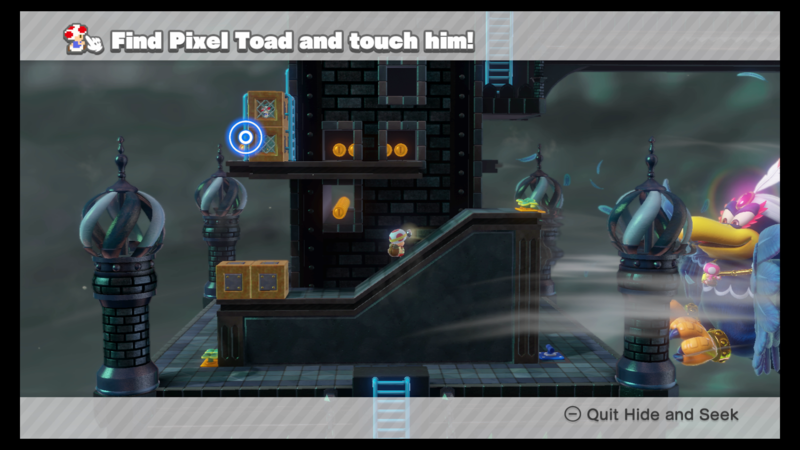 The second toad is near the rotating platforms, hidden behind the uppermost-right one. 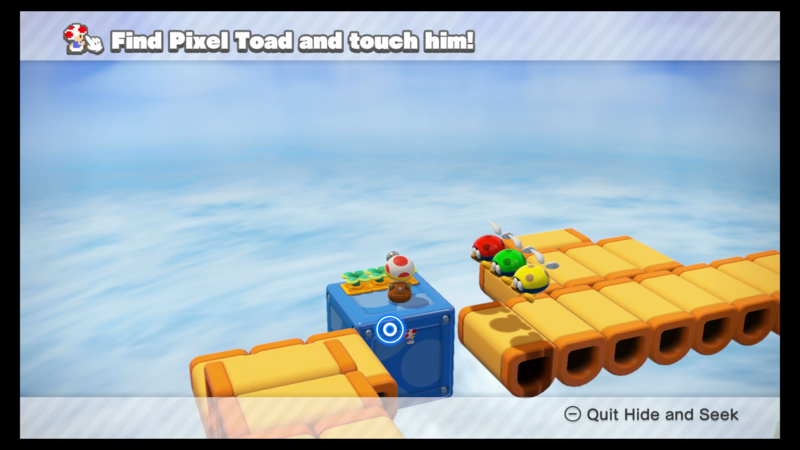 You can see this toad hidden on the yellow blocks, just under the blue platform. 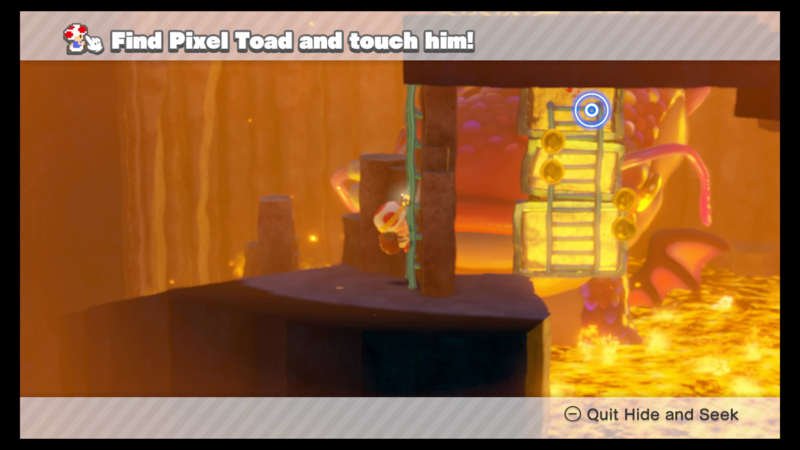 This Pixel Toad is hidden behind the large stacks of coins in the small hollow area. Right down at the bottom of the map is a small Pixel Toad jumping for joy. 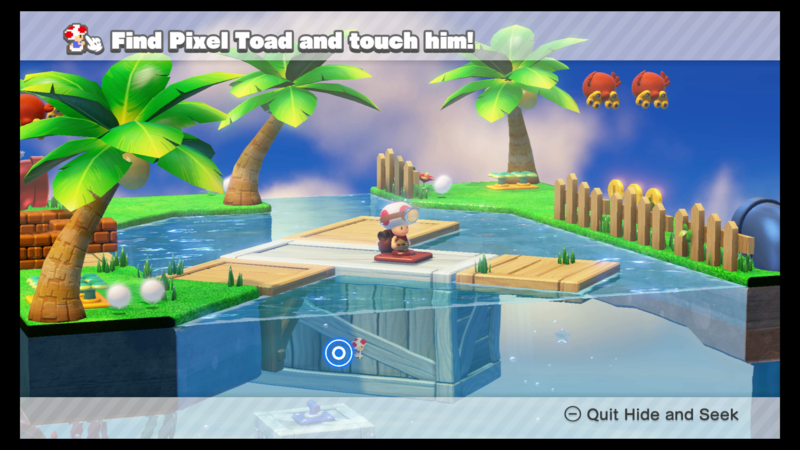 A Pixel Toad is located near the end of the map, relaxing under a tree. 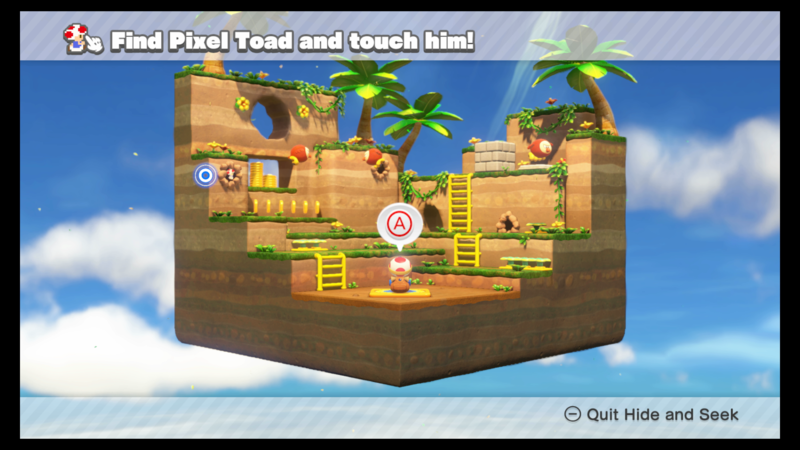 Rotate the platforms by 90 degrees and you'll see the Pixel Toad hiding down below. 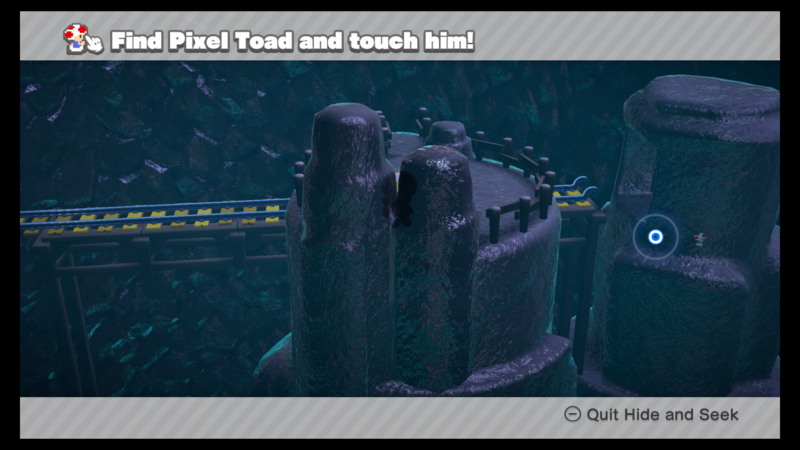 Right in the spawn, turn the camera around and you'll see a Pixel Toad at the start of the tracks. 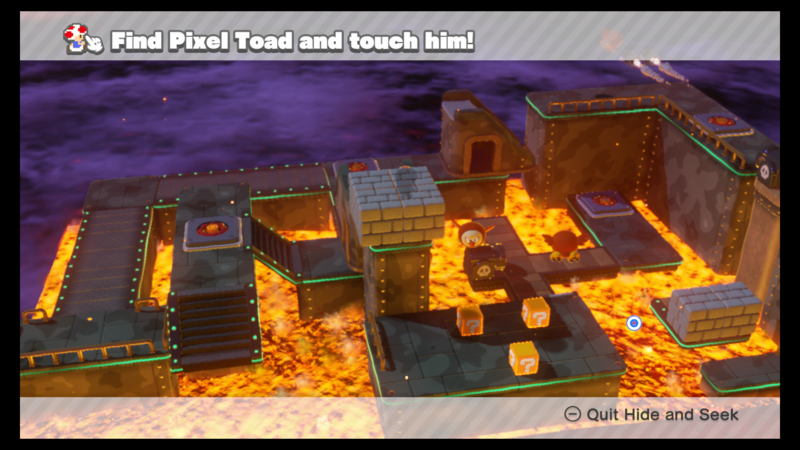 This Pixel Toad is located near the lone Bullet Bill cannon, jumping out of the lava. A Pixel Toad hides just above the first moving ladder. 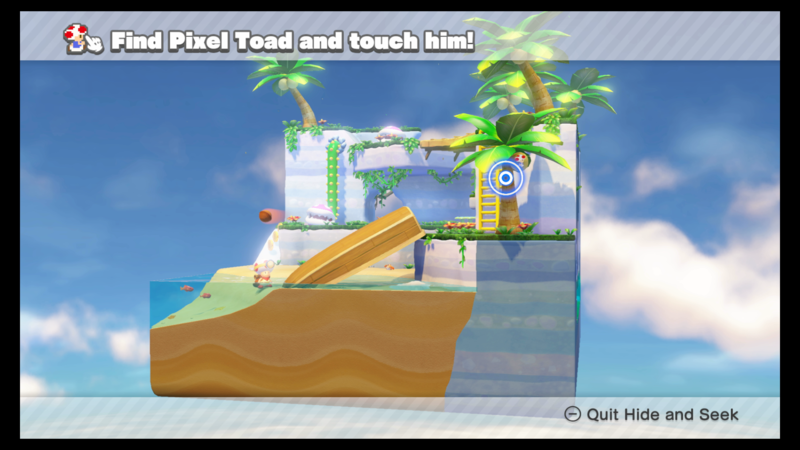 This Pixel Toad is hidden on the coconut of the lowest Palm Tree. 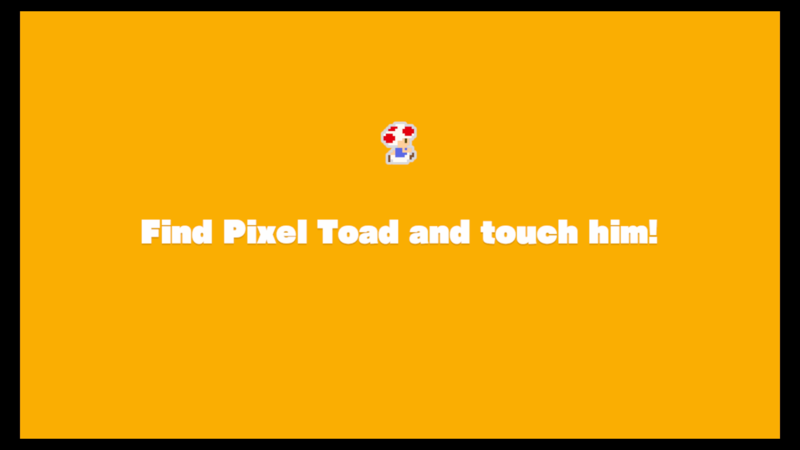 Lift the blocks up from the ocean floor to find this Pixel Toad hidden in the center one. 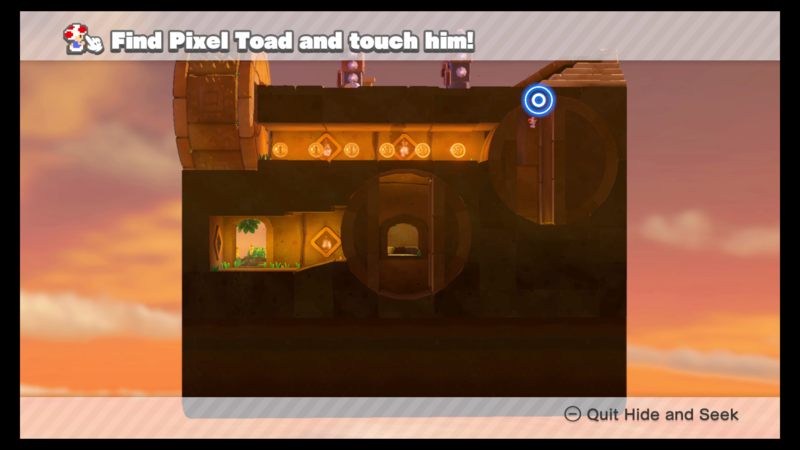 Destroy all the Piranhas with the cannon and the Pixel Toad will be hidden inside one of the burrows. 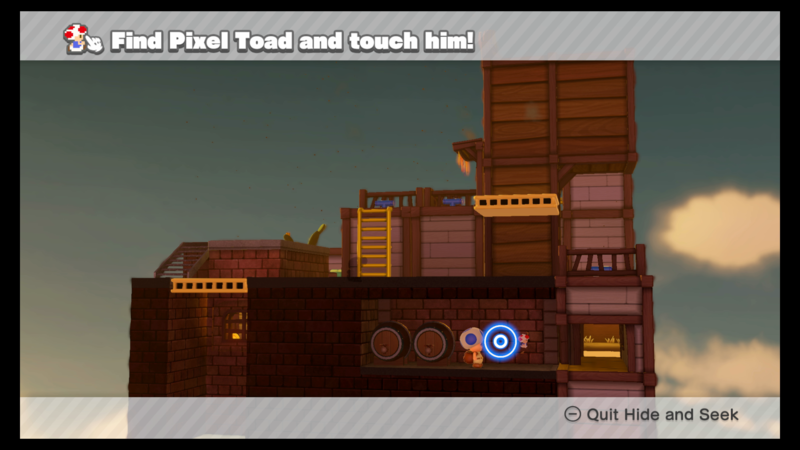 You can find this Pixel Toad behind the wanted poster next to the Blue Toad. After the speed boost, you can reach a safe blue platform to take a breather. The toad is hiding on that, behind the falling logs. 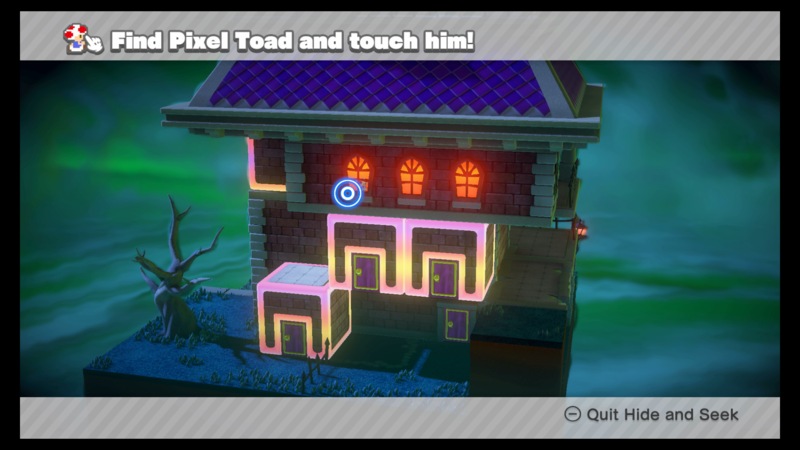 Turn the camera around when you spawn and the Pixel Toad will be in one of the upstairs windows. 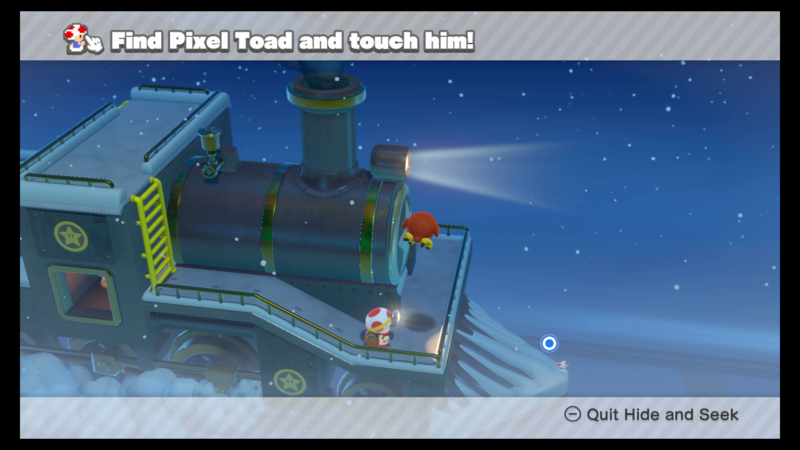 You can find this Pixel Toad at the front of the train. 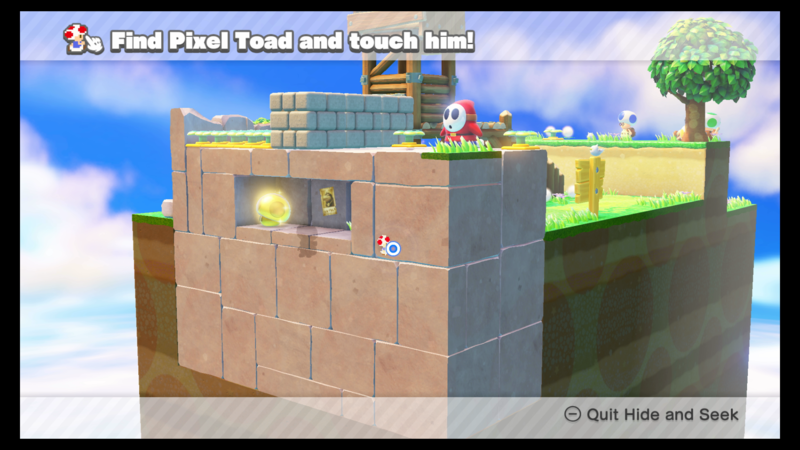 A Pixel Toad is hidden in the block with the two ladders.